Queen Elizabeth’s 90th birthday was in April, and travelers bound for the English capital still can’t help but get swept up in the on-going festivities. 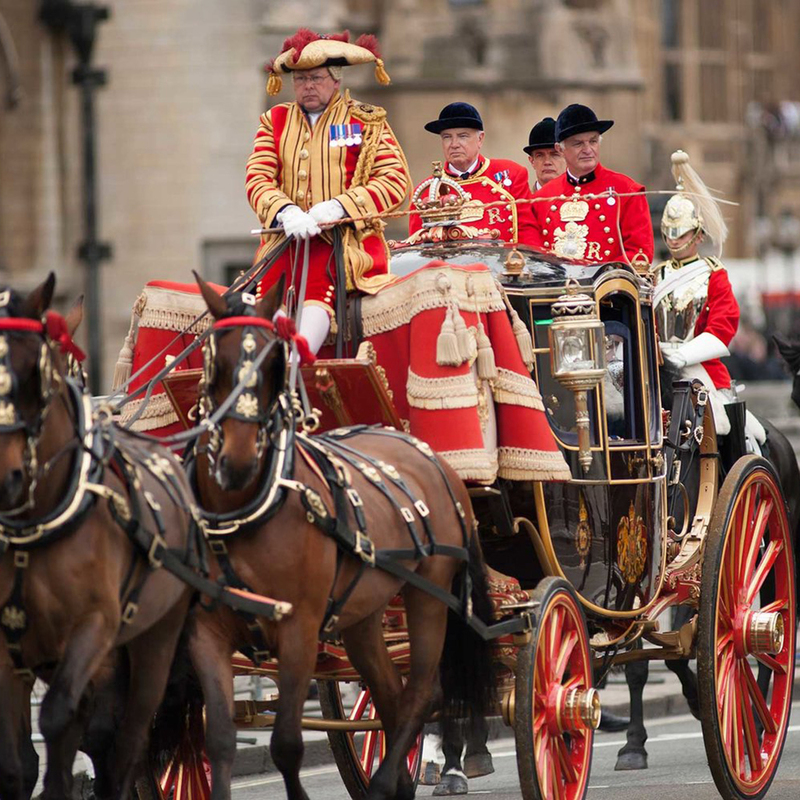 With Trooping the Colour (a huge parade, filled with military salutes and an RAF fly-by) coming up on June 11, London’s pulling out all the stops for her majesty this year. But if you’re looking to infuse your trip with some real pomp and circumstance, here’s our suggestion: hit up Kensington. No part of London is more infused with royal haunts and institutions than the historic—not to mention iconic—neighborhood. While Buckingham Palace dazzles from behind imposing black gates, Kensington—or the Royal Borough of Kensington and Chelsea, as it’s officially named—offers a refreshing balance of grandeur and accessibility. Free of tourist mobs and aggressive souvenir vendors, Kensington shows off its royal colors in a more graceful way. From a traveler’s perspective, it’s ideal: you can stroll the quiet residential lanes, gawking at multi-million pound townhouses, visit London’s “second-best shopping street” (the Duchess of Cambridge has been spotted browsing racks at Reiss and LK Bennett), and wind up in vast Hyde Park, on the neighborhood’s north border. Start with the obvious: Kensington Palace. Unofficially dubbed the “Princess Palace,” this royal residence offers a unique, 300-year perspective on its many famous occupants. Queen Victoria (born here in 1819) made this her home with husband Prince Albert, for the entirety of their brief, tragic marriage. Of course, Princess Diana lived here, as did Queen Anne and Princess Margaret. Now, it not only houses Will and Kate, but brother Harry keeps an apartment here, too. Best of all, the palace—along with its fantastic painted staircases, gaping salons, and sunken gardens—is open to visitors. It hosts regular exhibitions like the new “Fashion Rules Restyled,” an eye-popping display of couture gowns that Queen Elizabeth II, Princess Margaret, and Princess Diana actually wore. Want to admire the green velvet evening dress Princess Diana once wore for a Vanity Fair shoot with Mario Testino in 1997? It’s here. Next up? Royal Albert Hall. The iconic, circular theater has been welcoming eager patrons of the arts since 1871, and is no less spectacular today. Just ask Stevie Wonder, One Direction, and the Dalai Lama, all of whom have made appearances. With fiberglass diffusers hanging from the domed ceiling, plus a 9,999-pipe organ, it’s one of the most acoustically rich auditoriums in the city. Later this summer, the popular, two-month classical music series BBC Proms will take over the space, starting July 15 (be quick, though: tickets go on sale May 7). In plainer terms: neck bow if you’re a male, small curtsy if you’re a female. “Don’t speak unless you’re spoken to, and don’t proffer your hand out for a handshake unless they do first.” If you happen to cross paths with the Queen, stick with “Your Majesty” at all times. The chances of you casually bumping into the Duchess of Cambridge over lunch at London's restaurants are relatively low, though travelers can plan a meal at one of Kensington’s royal-approved restaurants. At the family-runLocanda Ottoemezzo, you’ll enjoy plates of homemade pasta and fresh burrata from the same kitchen where Kate and William used to go on dates. The relaxed Da Mario was a known favorite of Princess Diana and her two young boys. Looking for something more British? The newly opened Ivy Kensington Brasserie is chic and cosmopolitan, while offering a classic menu of fish and chips, full English breakfast, and shepherd’s pie.